Department of Film Studies and Audiovisual Culture, Masaryk University is organizing a series of film screenings called “Dějiny na 8” this autumn. The series will include a screening of psychological drama “Ucho”, among other films. The once “outlawed” film will be shown at Kino Scala on October 16. Photo credit: courtesy of the Dějiny na 8 organizing team. 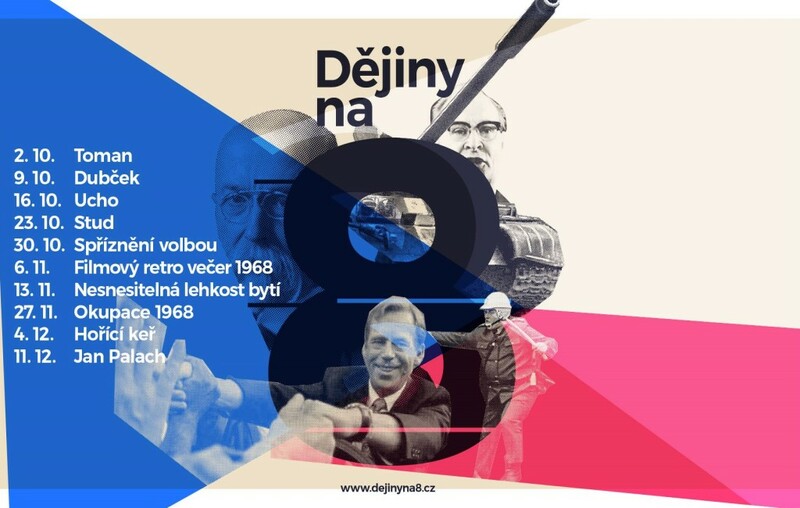 This Autumn, “Dějiny na 8” [“History at 8”] is presenting a series of ten film screenings “with a focus on modern Czech and Slovak history and politics,” according to Patrycja Astrid Twardowska, one of the organizers of the “Dějiny na 8” project. One of the films in the program this season is “Ucho” [“The Ear”] by Karel Kachyňa, a psychological drama which revolves around the topic of the fear and paranoia people felt during the Communist era. “Ucho” was banned by the ruling Communist party in 1970, the year it was finished, and was not screened until 1990. The Tuesday screening will be accompanied with English subtitles. Other films with English subtitles to be shown in Kino Scala include “Stud”, “The Unbearable Lightness of Being” [“Nesnesitelná lehkost bytí”], Occupation 1968 [“Okupace 1968”], Burning Bush [“Hořící keř”], and “Jan Palach”. More information on the program can be found on the official website of the project.